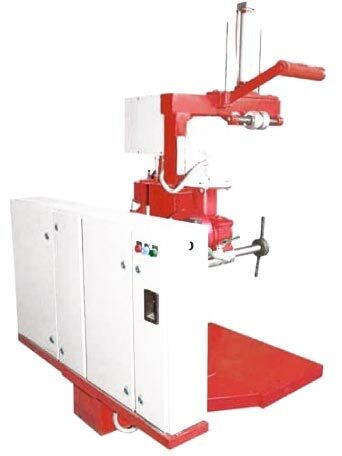 Luxmi Enterprises India is ranked among established Manufacturers and Suppliers from Jind (Haryana) that offer high quality Tire Tread Building Machine. Our Tire Tread Building Machine is is used to stitch and to eliminate the impurities of bubbles between the cushion gum and pre-cured area on the prepared casing ( tyre ) in the inflated condition. Its operation facilitates the proper adhesiveness of cushion gum onto the tyre surface. With the help of this operation a solid bond generates between the tread and tyre which can overstand with high speed of the vehicles. Provided with safeties and extra features.